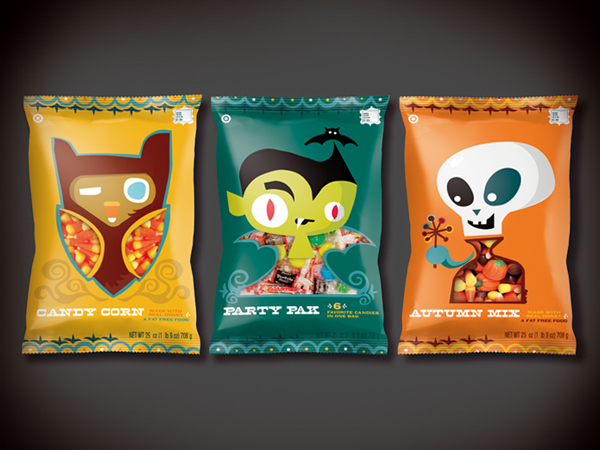 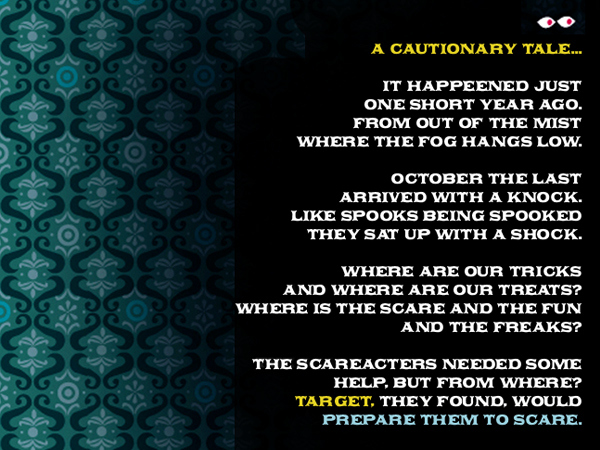 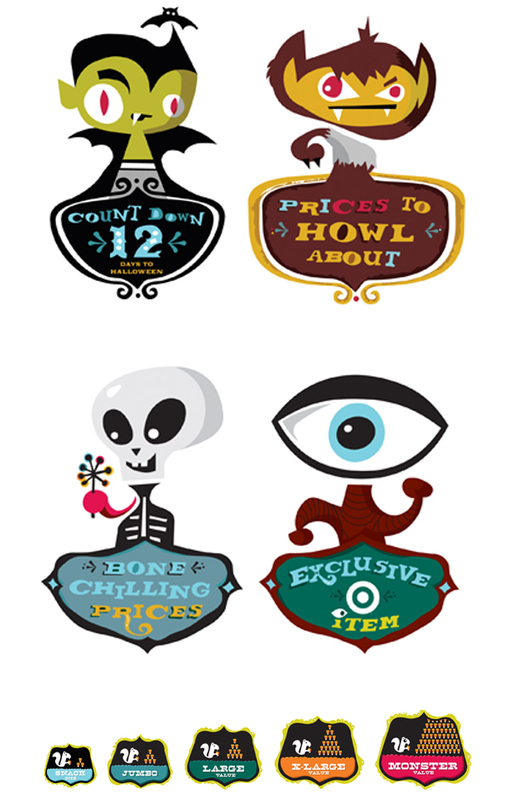 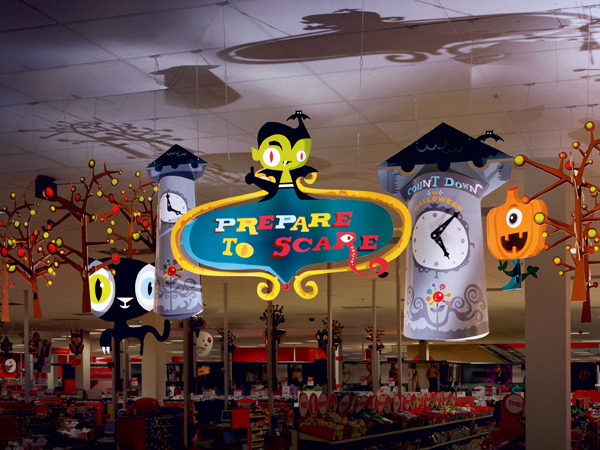 Office developed Target’s “Prepare to Scare” Halloween campaign, which included idea development, design, and writing for in-store marketing, and concepts for packaging, merchandising, direct mail, advertising, and digital marketing. 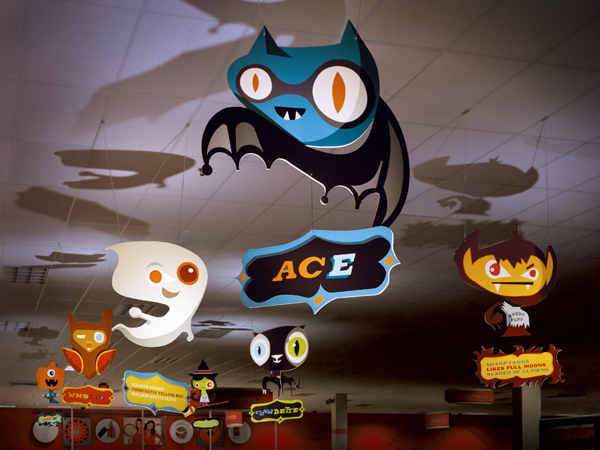 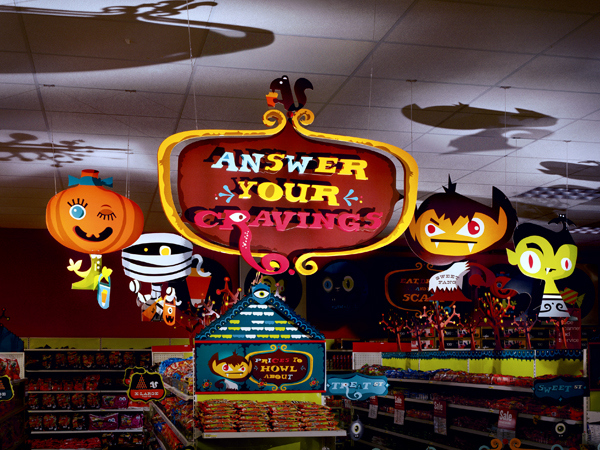 To engage moms and kids, each store was transformed into a haunted forest featuring a cast of “Scareacters” that Office developed. 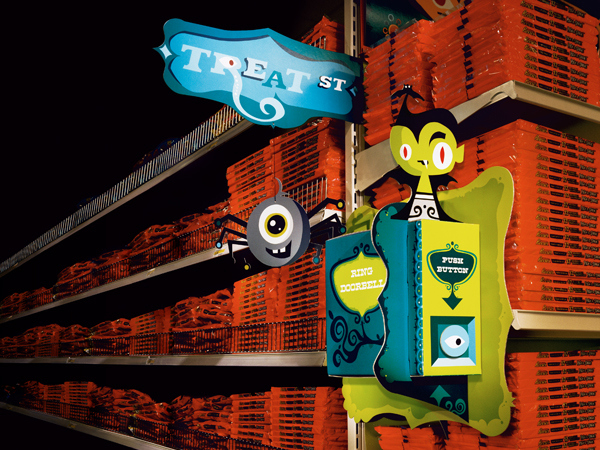 Re-creating the trick-or-treating experience, Target’s candy aisles were outfitted with street signs and doorbells that kids could press to hear messages from their favorite Scareacters.